North San Jose or otherwise known at the Berryessa District in San Jose, California is located in the northeast portion of the city of San Jose, between Coyote Creek and the Diablo Range foothills. The neighborhood borders Milpitas along Landess Avenue to the north and the Alum Rock neighborhood of East San Jose along Mabury Road to the south. The name comes from a member of the prominent Basque–Spanish Berreyesa family: Nicolas Berreyesa, a Californio settler who was granted Rancho Milpitas in 1834. The residential neighborhood is part of the Fourth City Council District, with the North Valley and Alviso, and was represented by Chuck Reed prior to his election as Mayor of San Jose. The district representative is now Kansen Chu. In the late 19th century, Berryessa was a small farming community well-known across California for its high-quality fruit. Hostetter Road, Capitol Avenue, Piedmont Road, and Lundy Avenue were formerly surrounded by apricot and prune orchards. The J. F. Flickinger Fruit Packing Company, one of the largest fruit packing companies in the Santa Clara Valley, was located around present-day Hostetter Road. In the 1960s and 1970s, however, the orchards were developed into suburban residential neighborhoods and businesses. Tiny remnants of these lands remain today, including the Orlando Farm on Capitol Expressway and the Mattos' apricot orchard off Piedmont Road. The name North Valley is sometimes used by locals to refer to Berryessa. Informal use of the term sometimes also includes parts of Milpitas and Alviso to mean the northern portion of the Santa Clara Valley. 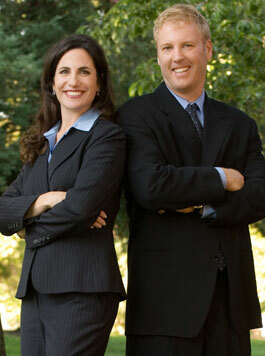 North San Jose encompasses the 95131, 95132, and 95133 zip codes.